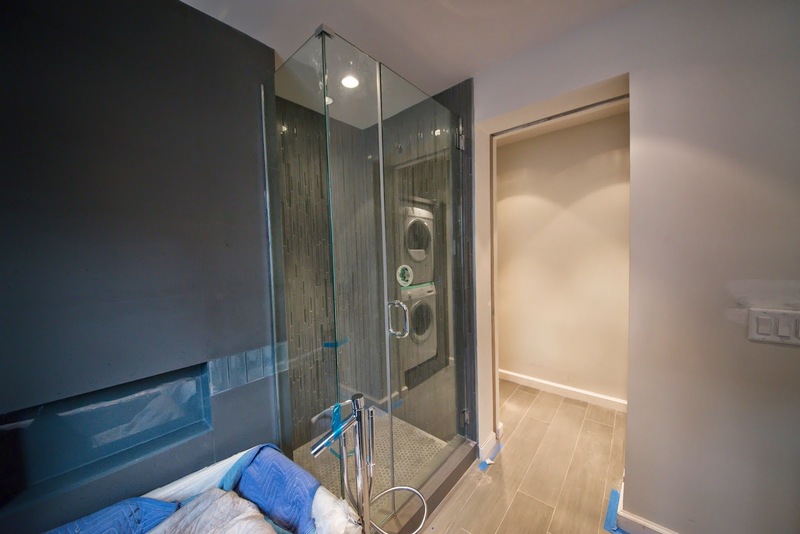 Glass shower enclosures have become a necessity in today's bathroom renovations. Glass shower doors also increase the value of your home. Contact one of our design consultants for your bathroom renovation projects. A frameless shower enclosure can add space to your existing bathroom to make even the smallest bathroom feel bigger. Frameless shower doors are the most contemporary solution for your shower enclosure needs. Not only are they highly durable, but frameless shower doors also offer more of a subtle design and can therefore match most any bathroom. Best of all, because of their open design, frameless glass shower doors will add the illusion of more space to you bathroom. The easy to clean effect of Shower Protect , reduces cleaning time significantly. The advanced and ultra-thin coating technology is repelling water, lime scale, dirt and soap scum, so a quick wipe is all that’s needed to keep that “as new” crystal clear appearance. Tests showed that on showers with hand-held shower heads, the cleaning time can be reduced by up to 95 % in comparison to uncoated glass. The Shower Protect™ kit includes a special formulated abrasive surfaces preparation, to remove glass contamination and soap scum, prior the coating. Therefore it is possible to use the coating on older glass. It never has been easier to restore your old dirty glass! The water based, abrasive cleaner can be used for glass, ceramic and sanitary surfaces. The kit contains enough product to restore and protect up to 6 to 8 square meter or up to 70 sq. ft.